Da Bears Blog | Is Anything Worth Watching Sunday? Minnesota has one of the league’s most limited passing attacks. If they’re able to run effectively against the Bears, it’s fair to question whether this group has packed it in for 2017. And if they have, what does that say for their head coach? The Alshon Jeffery drama begins the second this game ends. 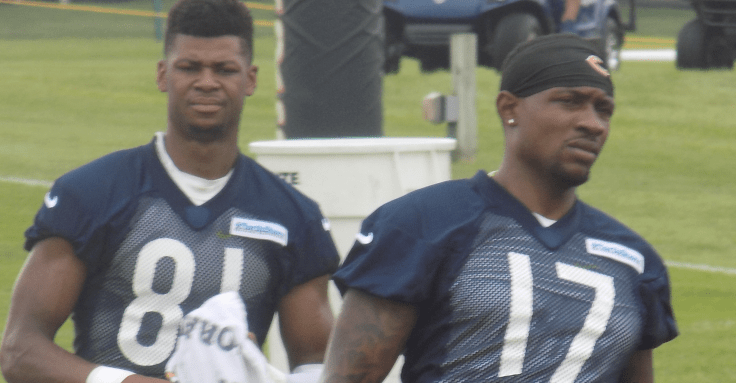 But if Cam Meredith continues to thrive when Alshon is active, one has to wonder if it’ll be enough to convince Pace this can be a winning combination at wide receiver moving forward. Meredith will be called upon to play a major role in 2017. But he’s a supporting player, not a leading man. Meredith excelling Sunday could possibly do more for Alshon’s future in Chicago than Jeffery excelling himself.